Adding YouTube videos to your site is already pretty easy with our video element. 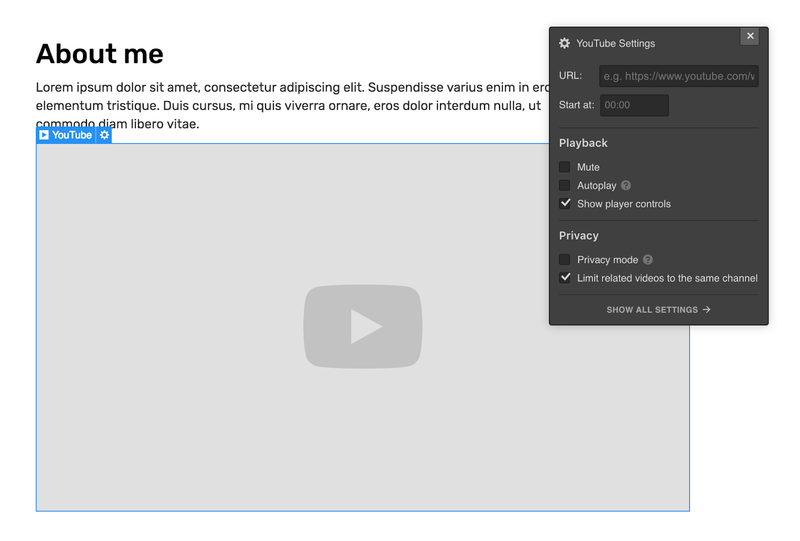 But there are a lot of YouTube-specific controls that they offer for their embedded videos that — until today — have not been available in Webflow. The new YouTube element adds additional playback controls. Now, with the new YouTube element in the add panel, you have a new level of control over how your videos look on your site. A closer look at the new display controls. Note that the YouTube element is not yet available as a CMS field. For CMS-driven designs, you can continue using the standard video field. We’ve added a new YouTube-specific element that offers a new level of embed customization, like hiding play controls, setting a start time, and limiting related videos to the same channel.